There are many questions our guests often ask before planning a trip to India, but not all are worth an entire article for our Discover India Section. In the following article we are trying to answer as many of those as possible. That covers money exchange, getting a sim card and wifi, what to pack, dressing appropriately or avoiding giving offence in India and more. It is basically a ‘Get India ready Guide’. If we missed the answers to your questions, get in touch with us. Should you carry money with you or withdraw it in India? USD, CAD, GBP, EUR, AUD, SGD etc are very easily exchangeable. Banks, travel agency desks, and hotels often exchange foreign currency and give you cash in INR. This is especially true for big cities. Tourist towns will have a money exchange option on every street. Hotels or travel agency desks will usually offer a better rate than banks. Sometimes there are also jewellery shops doing money exchange but those options are not so obvious to a traveller. So ask the receptionist or driver for the best options around. Also, if you are shopping or paying hotel extras they often accept foreign currency (7 out of 10 instances). The airport only exchange a small amount of money as rates are the worst there (100 USD/EUR ideally, not more). ATMs are very easy to find now, even small towns have multiple ATMS. This is certainly a safer option, in fact most widely used. Remember – Indian ATMs charge a fee of INR 100 – 150 (USD 3/ EUR 2 approx)) per transaction. In addition, your home bank could charge you a fee. The maximum amount Indian ATMs discharge is between INR 15000 – INR 25000 at a time (USD 300/450 – EUR 250/350). If possible, always carry a back-up card. Per withdrawal you can only get INR 10000 but you can go again after that. Often our guests have been in a situation where one card would not work at any Indian ATM. This is because smaller regional banks don’t accept International cards. Go to the national banks like HDFC, Kotak, ICICI, IndusInd or YES Bank or international ones like HSBC or CitiBank. It’s recommended to withdraw larger sums at one go. They seem to be waning in popularity. However, they can be exchanged fairly easily. Some hotels accept them. If not you can find a nearby bank or an authorised agent. Credit cards (outside of big cities) find very limited acceptance. Upper-end hotels and restaurants will accept credit cards. Sometimes (and often in Kerala) shops will allow you to swipe your credit card to ‘withdraw’ money with a small fee. They make a fake purchase of for e.g. INR 5000, charge you a small fee and give you the cash. Carry your credit cards, they can come in handy. But understand they will not be accepted widely. Since Indian Rupees are a rather weaker currency you will have lots of big notes in your pocket. Enjoy! 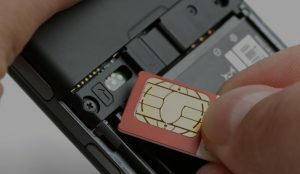 Should you get an Indian SIM-card? How is the internet connectivity in India? Internet connectivity while travelling within India is fairly easy to find but can’t be taken for granted. You cannot expect smaller hotels/hostels to have wifi. However, in general you will not be too far away from an internet or wifi source. If you feel the need to be constantly connected you can get an Indian SIM card with data volume. Firstly, it is not absolutely necessary to have an Indian number while travelling. Having said that it is useful to have a phone and an Indian SIM card. Also for us to reach you any time in case there are any issues. Prepaid (pay as you go) SIM cards are available everywhere. Typically each street would have a store that sells SIM cards. You will not miss the ‘Vodafone/Cell phone recharge/Airtel’ boards. Just tell them that you want to purchase a new SIM card. The hotel reception will always be able to point you in the direction of the closest store to get a SIM card. If you first arrive in Delhi, you can purchase a SIM card and an inexpensive handset at the airport itself. A SIM card usually is free or costs under INR 100. Recharging it with credit worth INR 500 is sufficient. If you do not have a phone, basic phones can be purchased for about INR 2000 (USD 40, euros 30). Be prepared that it can take a couple of hours until the SIM card gets activated. If you have a smartphone, and intend on carrying it to India, it comes in handy. Your smartphone can become your wifi device and you can send e-mails back home or to us when you are in a wi-fi area. Some of our guests even subscribe to an international roaming data plan. We’ve had a lot of guests that did not bother buying an Indian SIM card, as long as they could send/receive emails from their phone. It honestly works like a charm and helps us to provide you with our best service. Most destinations have plenty of wifi cafes (it is usually bait to bring customers in) and you can connect and send and receive e-mails. Cyber cafes are easily available too. It would be safe to assume that you would be close to an internet connection virtually every other day. However, the wifi connection might not always be a strong one or many people use it at the same time. Skype or streaming movies is not always possible. Having an Indian SIM card is useful, but you can circumvent it. In our ‘Get India ready guide’ we would suggest having an internet device, especially a smartphone with international roaming or an internet device, like your tablet. These are the most useful to send and receive e-mails. What should you pack for your trip to India? This is not a comprehensive checklist. Nonetheless, it contains some useful pointers that might come in handy while you pack. Travel lightly and if possible carry a backpack. However, a suitcase will not be a problem. Small case of medicines, for an upset tummy, motion sickness, head ache etc. Rainfall in the North of India is not as heavy. It is still good to carry both an umbrella and rain coat. 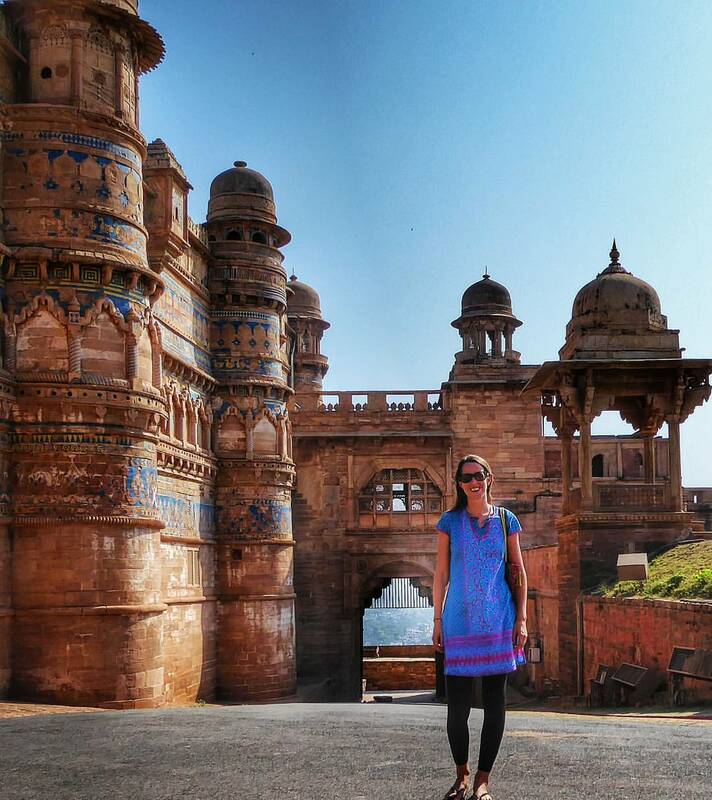 Anna from the travel blog Global Gallivanting loved to wear the typical Indian kurtas. How can you dress appropriately in India? Goa and the beaches of Kerala you can wear just about anything you would wear to a beach back at home. At other beaches in the country, we would suggest to avoid bikinis or at least wear a shirt and shorts above it. In places of worship both men and women need to dress moderately and discreet, i.e. be covered at least with a short sleeve shirt and long pants. Usually they will give you a little robe to wear over your clothes. A small tip is expected. In Sikh Temples both genders need to cover their heads. Shoes need to be always removed before entering a Hindu temple. This applies when you enter any Indian home for that matter. In general temples are more casual when it comes to dressing rules than mosques. What is the Indian mentality like? 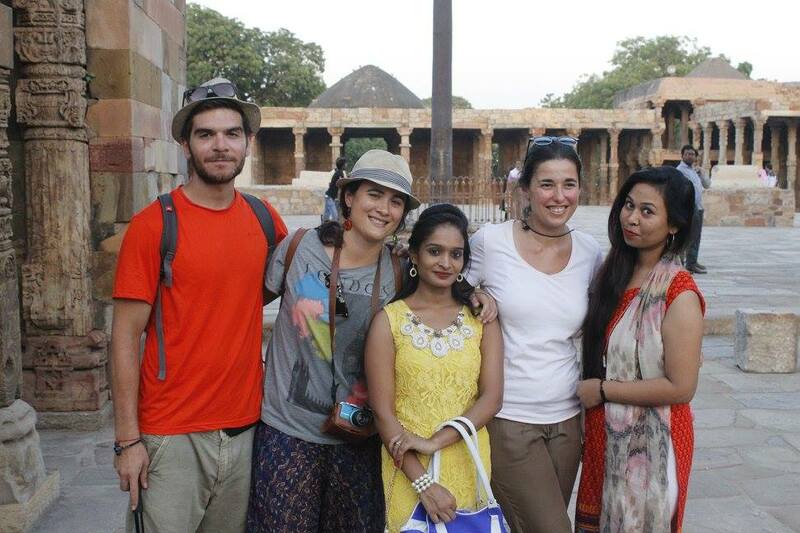 Many Indians want to take photos with you. Just smile and go with the flow! What to do when India annoys you? A lot of our guests completely avoid non-veg food in India, thinking it is unsafe. In a visibly nice restaurant or homestays it is OK to eat meat. Chicken is a better option because it’s widely consumed and more likely to be fresh. But, again be your own judge. Do you need Vaccinations for India? 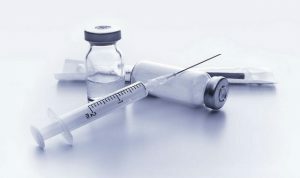 From interacting with our guests, we know that some of our guests get all the recommended vaccinations while about 25-30% of our guests (and from western countries) take no or very minimal vaccinations. It is more of a personal choice! Are there many Mosquitoes in India? A mosquito does not always mean malaria or dengue. If you’re bitten, don’t panic! The fabulous Yab Yum Resort in Goa has written a fantastic article on mosquitoes and Malaria. Check it out! 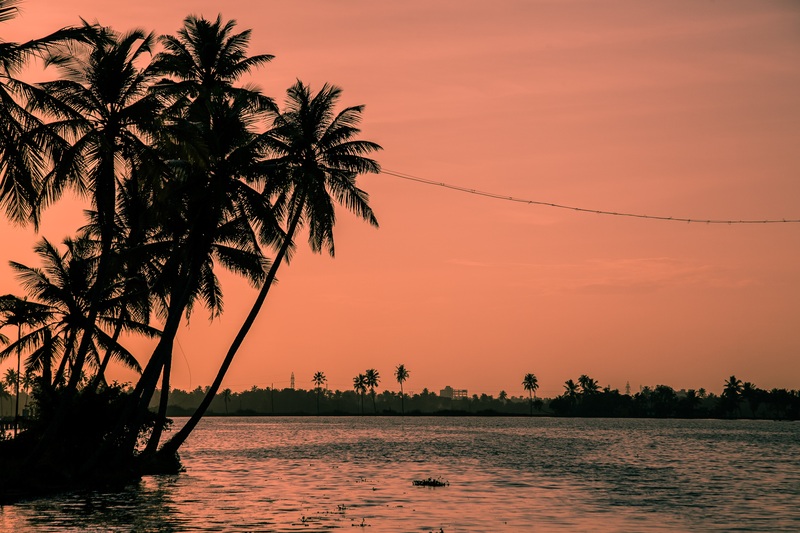 The Backwaters are beautiful but unfortunately have mosquitoes all year around. Will India Someday be in touch with you during the trip? We always love/try being actively in touch with our guests during the trip. You will probably receive phone calls or e-mails from us. Especially from your travel consultant or Aaliya, our booking superhero! With India, one has to be patient. There are times it can be overwhelming, but in the end it all falls in place. As they say, ‘You love and hate India, in the end the love is far stronger’. Plan your trip with us to always have a strong travel partner on your side for any questions or issues before or during the trip. We will do our best to make your trip a memory of a lifetime!